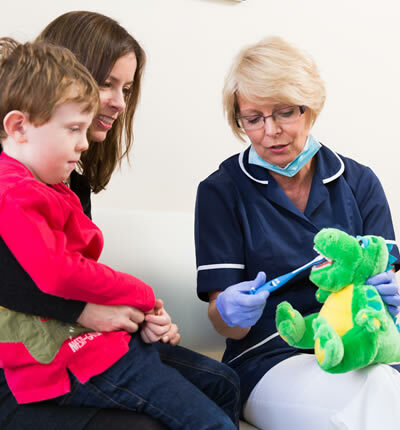 Hygienists have been working at the practice for many years now and we have seen a significant reduction in tooth decay and gum disease in those people attending them regularly. Treatment and prevention of gum disease is the main responsibility of the dental hygienist. We now know much more about the gum disease process and how to prevent it. The main culprit is plaque which is a film covering the teeth consisting largely of bacteria. In 24 hours it may build up sufficiently to cause inflammation at the gum margin also known as gingivitis. The most obvious sign of gingivitis is bleeding. Over time plaque may harden onto the tooth surface to form calculus. Calculus is sometimes referred to as scale or tartar. Your hygienist in Tunbridge Wells will give advice on improving plaque removal. This advice will be specific to you as we all have different challenges when cleaning our teeth. One person might have large gaps between their teeth another person overlapping teeth with tight gaps. As we are all different the cleaning techniques and most appropriate cleaning equipment will vary. Advice on diet and giving up smoking may also be given. The next stage involves removal of calculus from the teeth and polishing to remove stains. It is important to note that this cleaning process becomes more comfortable over time as the gum health improves. 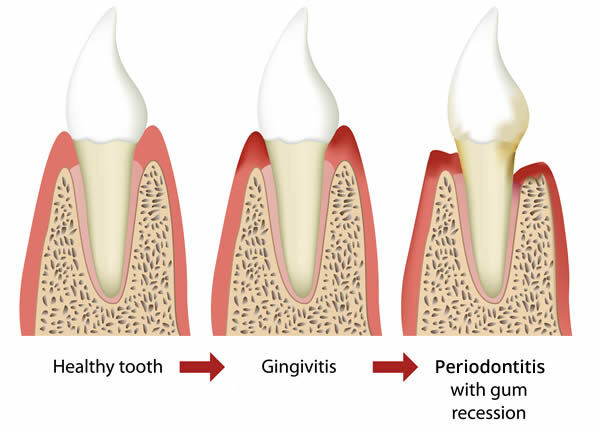 Gingivitis may progress to periodontal disease. This is where the inflammation process damages the bone around the roots of the teeth. This is usually symptom free initially. Often pockets form which are vertical defects between the roots of the teeth and the gum and bone to which they should be attached . These pockets provide a space for plaque to reside and continue the disease process. To break this cycle we will assess your gums and the hygienist will show you where the problem areas are and how best to clean them. Any areas of calculus will also be removed to make cleaning easier. Risk factors other than plaque include smoking and genetics. Some people react much more to plaque and suffer much more attachment loss due to genetic factors. People in this category need to work much harder with their cleaning and have more regular hygienist visits to achieve healthy gums. We know of at least five ways in which smoking encourages gum disease and we give advice on giving up. Tooth decay may be reduced by the same cleaning techniques advocated for treating gum disease. Reducing the frequency of sugar intake and application of fluoride also help with prevention.